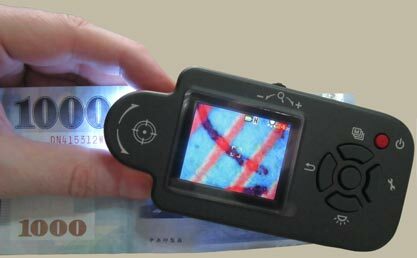 The most light and easy-carried Portable Micro Scanner in the world is with a high resolution TFT panel. The magnifying rate can be from 5x~90x and four level of LED white lights easily for you to capture images. SCN-03 is very useful for those having poor eyesight having difficulty to read books or newspaper, so you can bring along if you don`t like wearing glasses. It also comes with special feature that allows you to freeze a spot that works pretty similarly to a camera, so you can focus solely on the spot to read on something that is difficult to read.